Few could argue for a more recognizable title from the Old West, nor could any town be more linked to the romance of the West than this one. 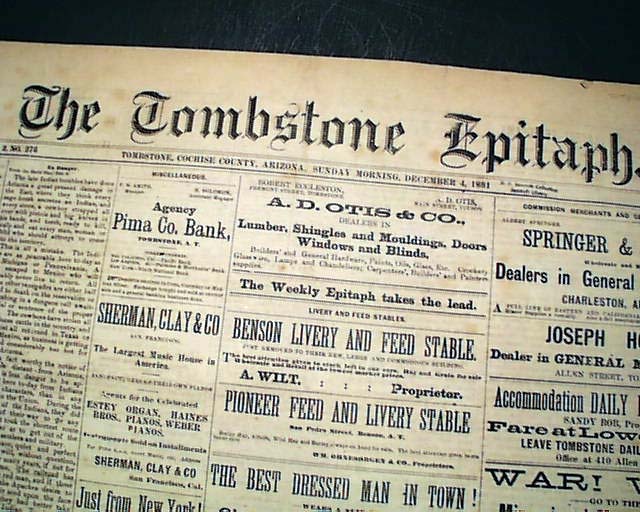 Tombstone is steeped in Western lore, and the several movies done concerning the gunfight at the O.K. Corral have kept this town in popular culture. 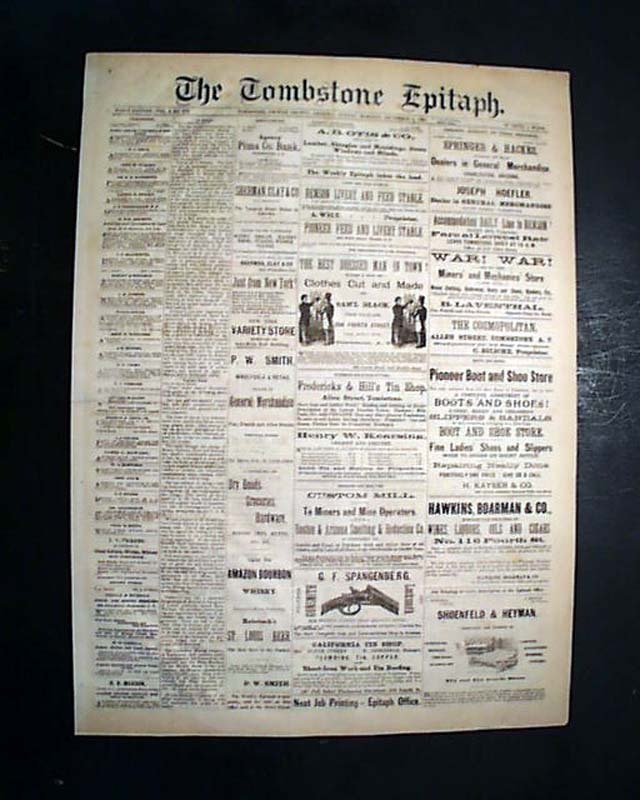 This issue was printed just five weeks after the famous gunfight at the O.K. Corral. A wealth of local and regional reports including most of a column headed: "Local Splinters". 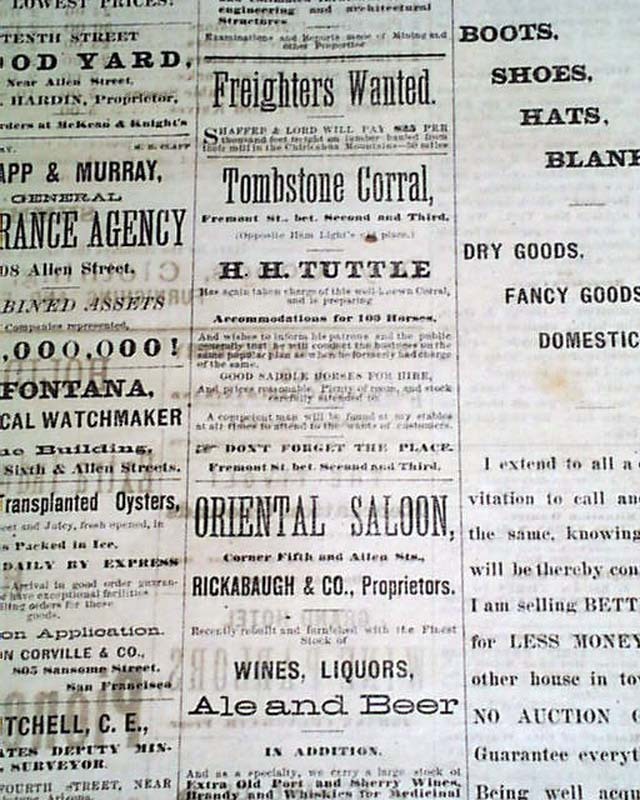 Mining items & announcements, court proceedings, and even a mention of Billy the Kid under the heading: "Murderers Out of Limbo". The report is datelined from Las Vegas, New Mexico, & notes: "Seven prisoners...under life sentence for murder...escaped from jail this morning. Rudabaugh was a member of the notorious Billy the Kid's band, and was sentenced to hang...". 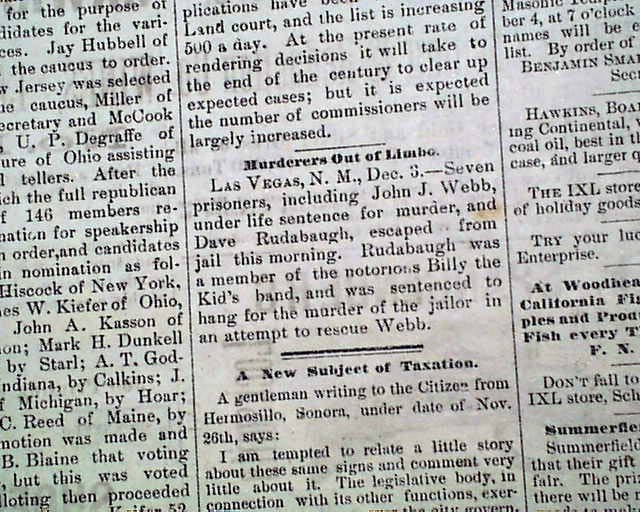 Billy the Kid was killed in Las Vegas just 8 month prior. A wealth of Western-themed ads including ads for stage coaches, saloons, and corrals. Four pages, archivally rejoined at the spine, in uncommonly nice, clean condition.